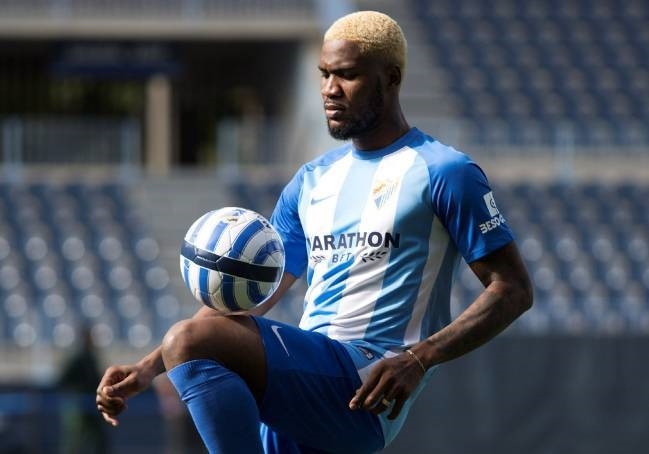 FC Malaga striker, Brown Ideye is back and in contention to face Deportivo La Coruna in Friday's La Liga clash before the bigger test against Real Madrid on Sunday April 15th. The former Olympiacos of Greece forward has been out injured and was missing in last weekend’s important win against Villarreal. Ideye says he is happy to be back and he is keen on adding his quota as Malaga battles to escape relegation from Spain's top division. “I’m happy to be back in training. My colleagues did well last weekend and I hope we continue in the same form this weekend as we continue to battle and hope luck smiles on us,” he told AOIFootball.com. Earlier, Ideye had posted on his official Instagram page a picture of himself in training. Don't be pushed around by the fears in your mind, Be led by the dreams in your heart. #training #focus #thankful???????????? Malaga will on Friday take on another relgation zoned team, Deportivo La Coruna.